Anyone who will put up with me. (Scott Finnell, Tony Mauro, Val Kunkel, have all learned to ignore my constant whining.). 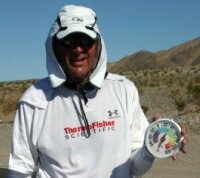 Ultra marathon…….Completing the last mile of the Badwater ultra marathon with my crew. It just goes to show you that nothing is impossible when you have the support of some great people. Thanks Kelly, Scott, Judy, Lou, Tony, Andy, Val and John . You meet a lot of great people. It is always fun helping people achieve their running goals. Seeing runners pick up the pace around mile 24 when they realize their goal is within reach. Because I am a lonely guy and I need the company. Don’t put so much pressure on yourself that running is no longer fun. Once it becomes work, it is no longer fun. Never think you can’t do something. Once you think you can’t, you can’t. For Badwater 2010 we (Scott Finnell and I) are raising money for the Pressely Ridge.